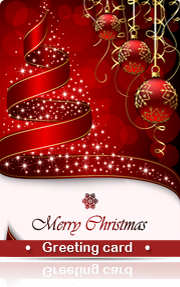 Greeting card maker software helps you to design and print attractive Christmas card, New Year card, invitation card, wedding card, valentine day card and other types of greeting cards in different colors, shapes and sizes according as per your choice. Now you can design your own style greeting cards using DRPU Greeting Cards Designer Software. Design Greeting Card using DRPU Greeting Card Maker Software as shown in above screenshot. Design and create Greeting Cards using image designing Tools including Text, ClipArts, Signature, Wordart, Barcode, Shape Type and Insert Image. Software provides option to Start With New Label Format or Open With Existing Label Format. Allow user to design Greeting Card with Quarter Fold (Side Flip), Quarter Fold (Top Flip), Half Fold (Side Flip), Half Fold (Top Flip) and Postcard (No Fold) option. Batch Processing Series feature allows you to generate multiple copies of Greeting Cards with different barcode and text value. 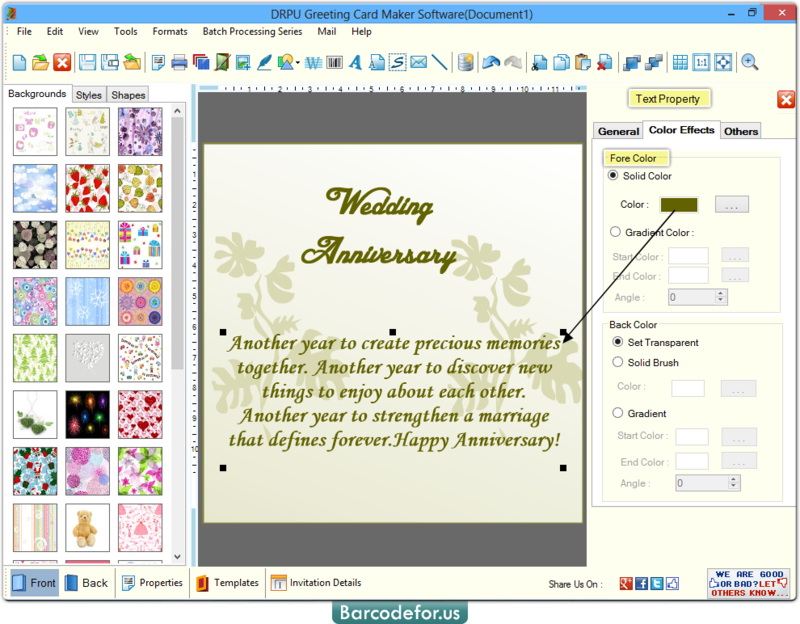 Software provides option to create greeting card using wizard or with blank format. Design greeting card in variety of shapes including Rectangle, Ellipse and other similar shapes. Easily print designed greeting card with print setting.